This is a cast of the baby’s hand or foot. The family can relish in the joys knowing that they can show their grown up child an impression of the once baby foot. Name your child after a star. What a thought, but wait you can actually do this now. Put a picture of a star chart on his wall with his name pointing to a star that has really been named after him. If you child is a fan of Formula One or any other racing sport. This unusual gift is for him. It looks so realistic. 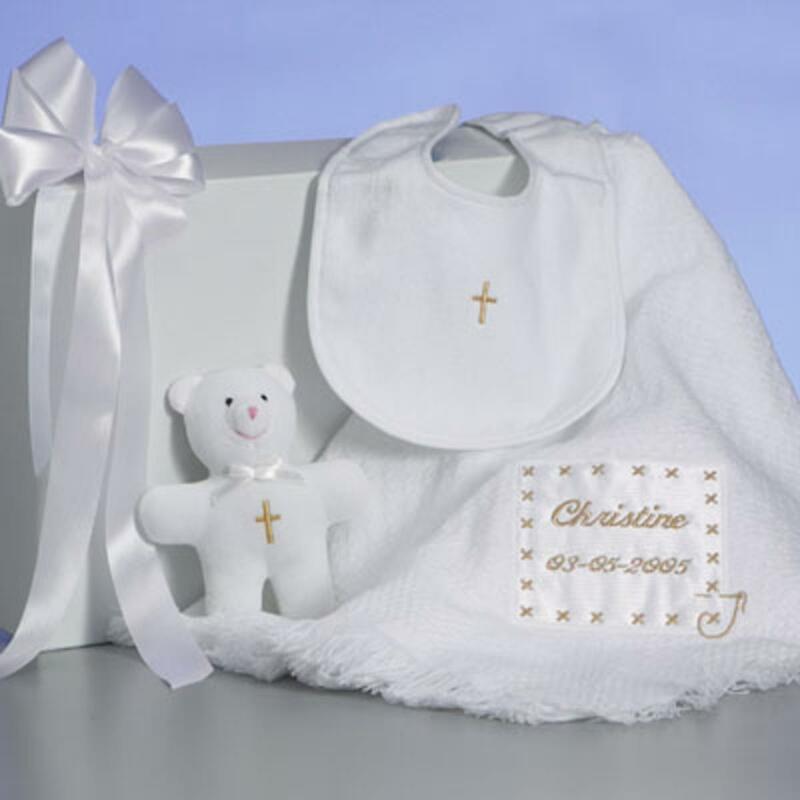 A clever idea for you to have your christened Childs name on a certificate. You can choose from all different types of paper and font sizes. Add pictures and frame to finish it off. A white cross set in glass. Looks really nice especially when you child uses to stop paper flying away. Put one of your favorite pictures of your child or the child to be christened on a special mug. Watch how he can see himself every time he has a drink. A photograph on a coaster. A double coat of arms. Remind you child of his heritage and his unique coat of arms. A new idea for a few more things rather than just one gift. Great for the precious moments. Open a child trust fund. On the up and coming but used for christening as well. A professional gesture. Clothes that are made to look like a bunch of flowers. Quite a wonderful looking gift and a very unusual one at that.